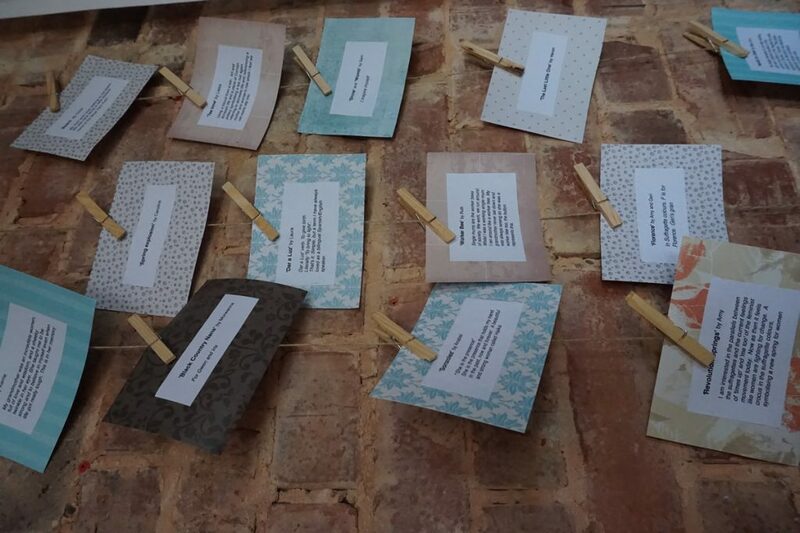 With radio programmes playing in the background, project lead and artist Kerrie Seymour installed all the beautiful art and craft work from the Rebellious Threads project. 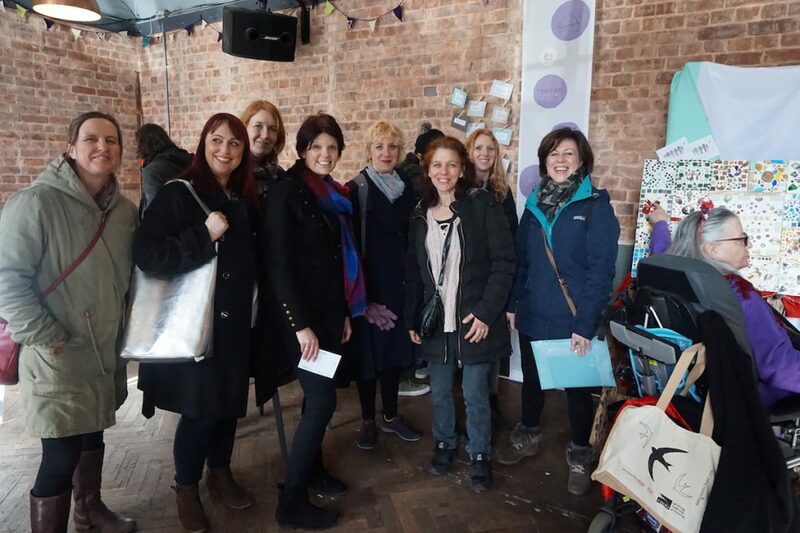 All the work was made by two different groups of women from across the city of Exeter. 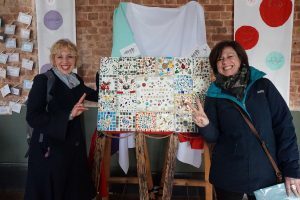 Supported by a range of artists including Nicci Wonnacott and Storm in a Teacup who provided much inspiration for all involved. 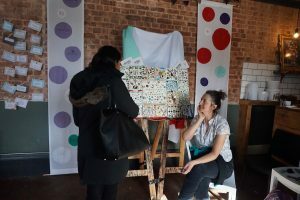 The work really illuminated the space, bringing it to life, whilst providing a lot of joy for those who joined us and encouraging others to take part in some of the activities taking place during the day. 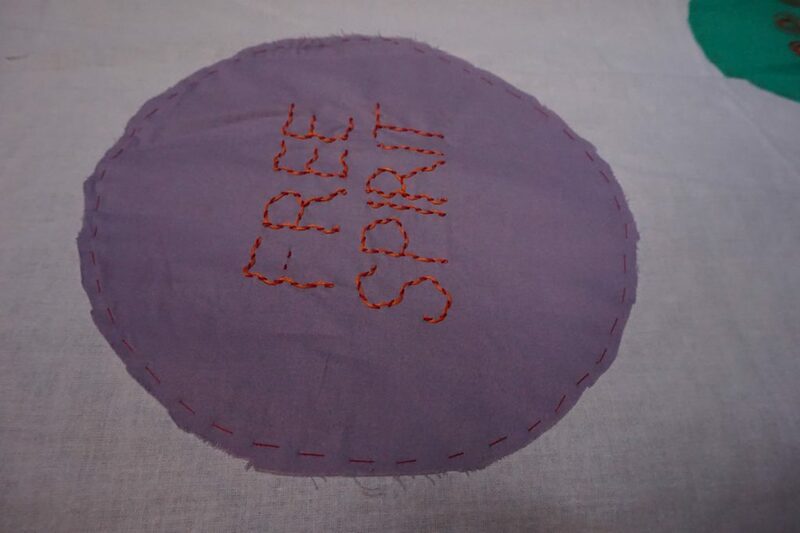 It was mazing to feel the energy around the work and the gentle art of craft and activism bringing us together. 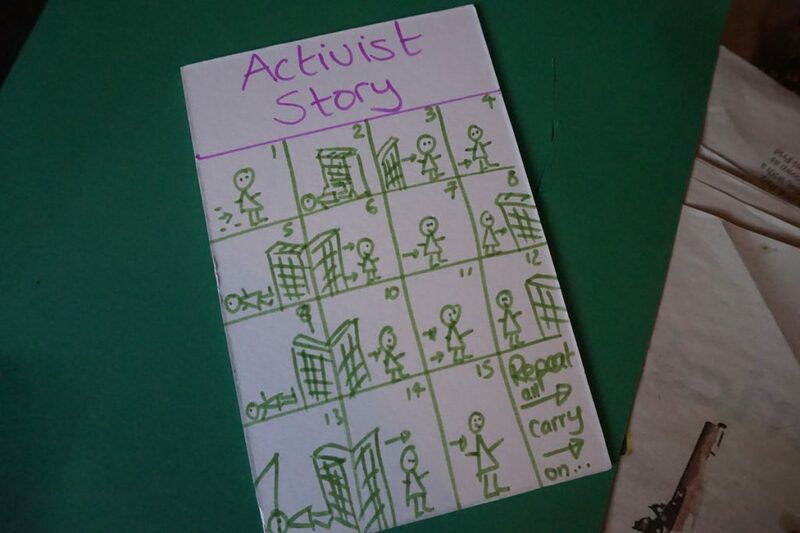 During the day responses to the work and the theme of women’s activism took place, not only on the radio, but also in the workshop space between people who knew one another and people who had never met before. It produced some exciting conversations and writing in the room. 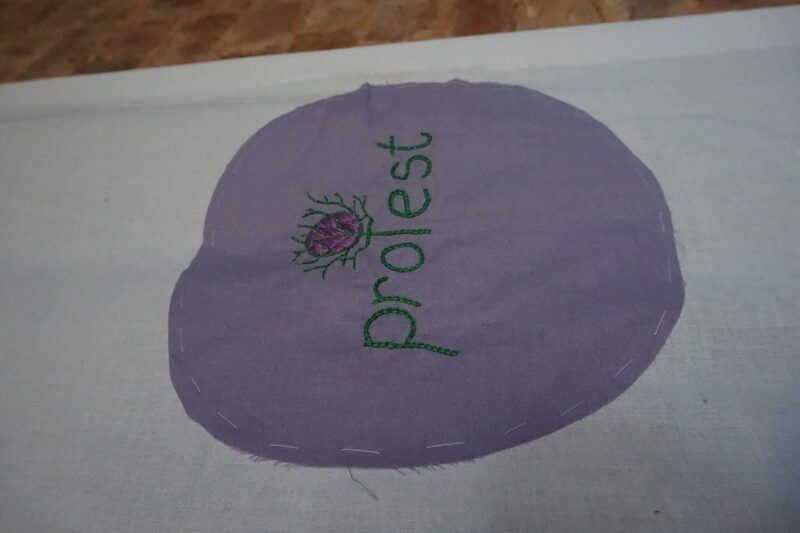 There were also rolling banners that had been made with slogans and words on them, lovingly and patiently stitched by women taking part in the project and then stitched again onto the larger pieces of cloth by Kerrie. 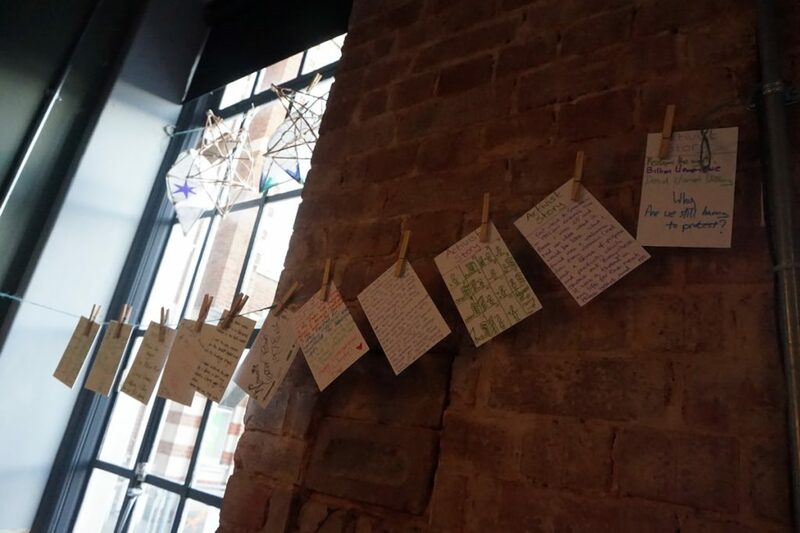 Seeing all the work together held this micro-community of people, particularly women together for the day, complimenting the radio broadcasting going on in the basement of the Phoenix.